Australia is famous for bushrangers, with the likes of Ned Kelly actively in the communal consciousness as either civil hero or vicious criminal. But Camden has many of its own tales of bushrangers. Burragorang was a very popular area for bushrangers and cattle thieves to store their booty. “Among its gorges and ravines” we are told, “could be hidden whole herds of cattle, which could remain undiscovered for months” (Sidman, 1995). But bushrangers provided a great deal more peril than simply stealing cattle. There are many accounts of people being robbed along the road, and even houses, with the likes of ‘Denbigh’ erecting iron-bars across the windows to prevent bushrangers from entering the property (Sidman, 1995). The Great South Road (also known as Old Razorback Road) was a popular spot for bushranger ambushes, the difficult to traverse route leaving many travellers weary and vulnerable. The site of much bushranger activity. Road over Razorback Range. Earlier called Great South Road. Copyright: Camden Historical Society. A mail coach running from Wollongong to Campbelltown seemed immune, according to an 1866 Sydney Mail report, until it was struck twice in a fortnight that year (Whitaker, 2005). What is interesting about the report is not the mention of the hold up, but that the coach was unique in being unaffected by the activity until that time. Bushranger activity was a common occurrence and a regular concern of many people in the area. Morgan the bushranger, by Samuel Calvert 1828-1913. [Melbourne? : s.n., 1864] 1 print : wood engraving ; 14.8 x 10.8 cm. National Library of Australia, nla.pic-an9900666. Two of the most famous from the area were ‘Mad’ Dan Morgan and Jack Donahue. Morgan (born William John Owen) earned his moniker due to often violent mood swings (Bruce, 2003). Most likely the son of a prostitute and with little education, in addition to his thieving he committed numerous murders, his victims including magistrates and several police officers and volunteers of a posse sent to arrest him. After he was ambushed and killed by the posse he was propped up and photographed. Such was the extent of disgust he inspired in lawmen that police mutilated his body, removing his beard as a souvenir and cutting off his head for study in Melbourne, during this time when phrenology still held sway. Donohoe [i.e. Donahoe] / [attributed to Sir Thomas Mitchell]. State Library of New South Wales, a928129. 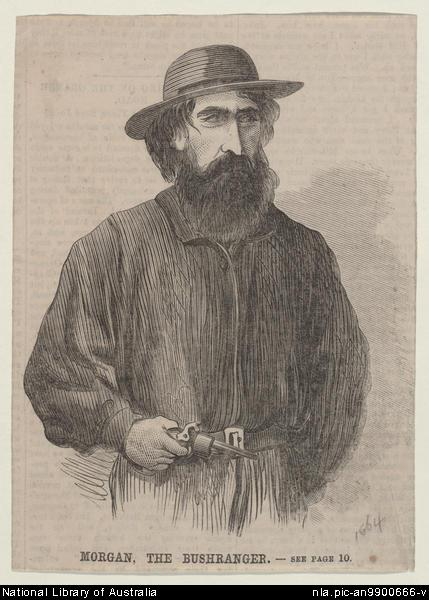 A more famous Bushranger in the area was Jack Donahue. An Irishman subjected to transportation, Donahue quickly escaped his jailers and began his life as a bushranger (Bruce, 2003). He was caught earlier on and sentenced to death, but once again escaped, leaving his two fellow convicts to be hanged. He was described as a snappy dresser and incredibly successful. He was, according to sources, regarded as something of a hero, standing up to corrupt officials, which has become a common trope in many bushranger narratives. However, he was not universally loved, with many people volunteering to search for Donahue when the government offered a reward of £100 (a large amount of money back then) for his capture. 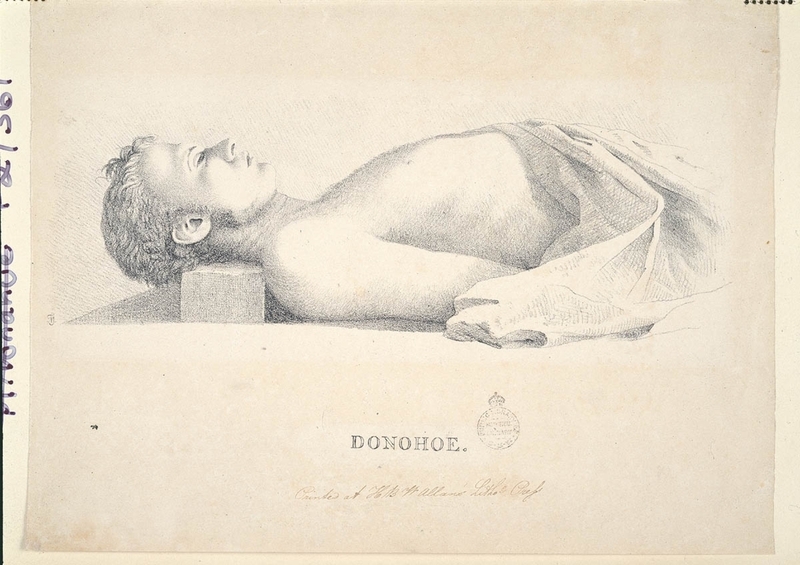 In 1830 a trooper shot and killed Donahue after authorities surrounded him in Bringelly. He gained considerable fame, with two ballads, “Bold Jack Donahue” and “The Wild Colonial Boy”, being composed in his honour. The debate about bushrangers as hero or foe will likely continue for a very long time, but the impact they had on Australian society and communities such as Camden cannot be denied. Bruce, J., & Wade, J. (2003). Bushrangers: heroes, victims or villains. East Roseville, N.S.W. : Simon & Schuster : Kangaroo Press. Sidman, G.V. (1995). The Town of Camden. Camden, N.S.W : Camden Public Library. Whitaker, A. (2005). Appin: The story of Macquarie Town. 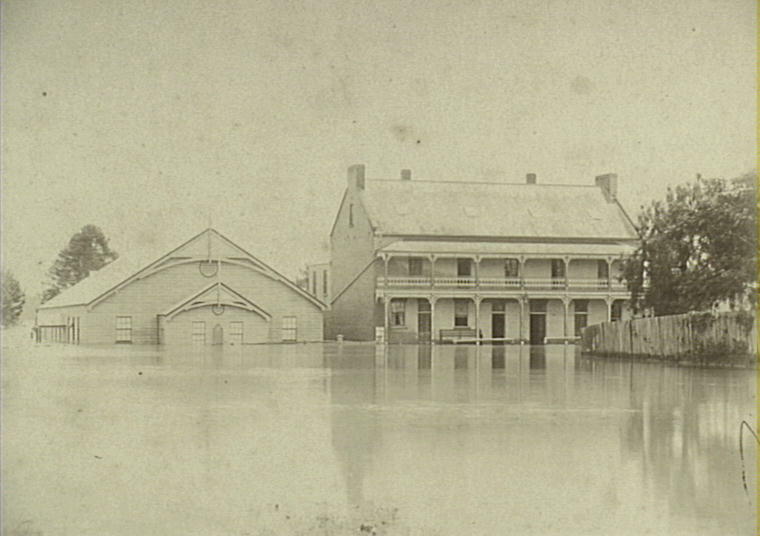 Alexandria, N.S.W. : Kingsclear Books. Part of the Cobbity land grant between 1812 and 1819, Denbigh was allotted to Charles Hook. He, like all the grantees, had to clear and cultivate the land within 5 years. Between 1812 and 1819 Hook had between 3 and 9 convicts working the land. This was not necessarily an easy period with the 1814-1816 Cowpasture War in full effect and the land being well within the battlefields. But by 1819 Hook started building some form of residence, living first in Sydney and then in Macquarie Grove with Samuel Hassall, finally moving onto the property in 1820. The first buildings were defensive “siege-style” structures due to the Cowpasture Wars, but later he began constructing the main bungalow that still stands on the property. 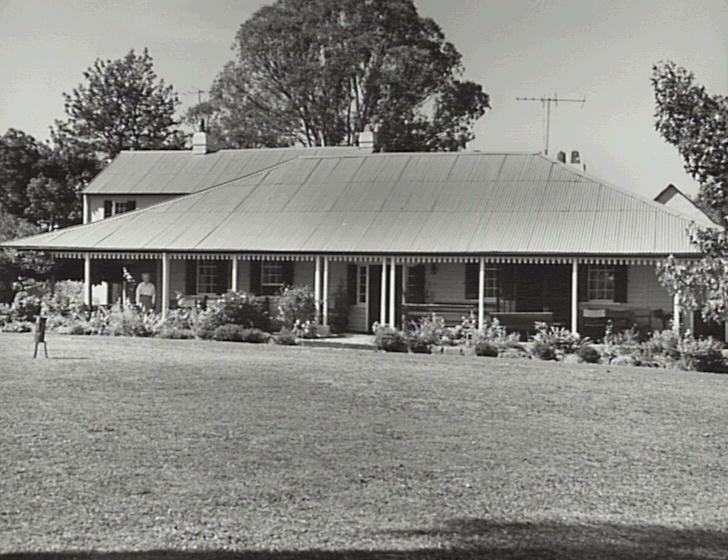 Like Camden Park House, it was based on a Georogian style, but ‘Denbigh’ was set lower with a simplified version of this English style, which suited it well to the Australian climate. The main bungalow. The front section was built by Charles Hook before 1826 and the two storey section by Thomas Hassall after he purchased Denbigh about 1826. Since renovated. 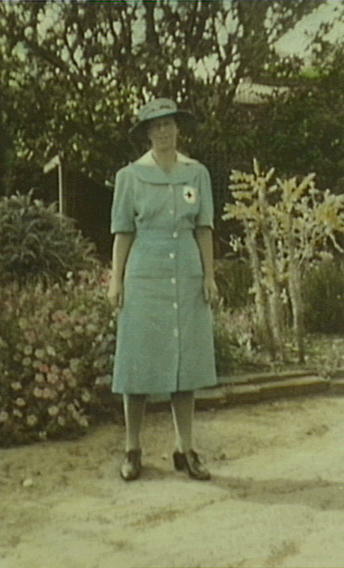 Mrs Lesley McIntosh (owner) standing on verandah. Copyright: Camden Historical Society. The property began to see considerable success and become self-sufficient. Livestock increased with the notable addition of sheep, 400 of the 1,100 aces was cleared, and 60 acres was dedicated to growing the famous Camden wheat. Hook passed away in 1826, and the property was sold to Thomas Hassell the following year. Hassell came from a family of churchmen, and his move to the area was due to his appointment as chaplain in the Cowpastures. Although already owning land in the area, ‘Denbigh’ offered many advancements over these other properties, both in agricultural terms and in its suitability as a parsonage. 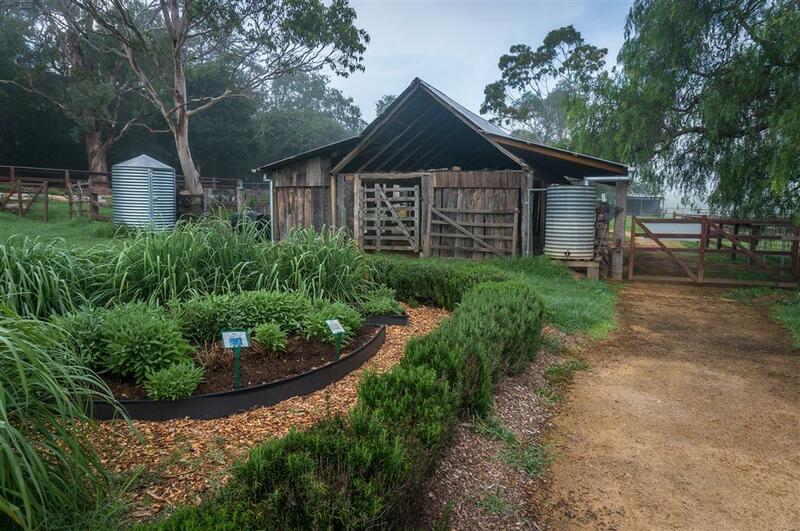 While Hook lived on the property only with his wife, never having children, and a handful of convicts, Hassell and his wife Anne had a growing family and undertook works to develop the property. These increased works called for more hands on the property, and Denbigh expanded from a self-sufficient farm to a scattered village, having everything from a blacksmith and carpenter to a shoemaker and schoolmaster. From the northern side showing the Hassall additions and the nineteenth century garden. Copyright: Camden Historical Society. Hassell was considered a generous and benevolent landowner by many who came to work for him. Testament to this is that some would continue working on the property even after gaining their tickets of leave, some for as long as fifty years. The prosperity came to an end in the 1840s, largely due to factors within the colony as a whole. The end of transportation and the economic depression resulted in Thomas reducing his holdings, selling some of his properties and leasing considerable amounts of ‘Denbigh’. A further hit to the property came in the 1860s, when rust brought an end to the Camden wheat industry. In 1868 Thomas Hassell passed away, and his wife Anne found a suitable lessee in Charles McIntosh, who would own the property eighteen years later, when Anne Hassell passed away in 1886. The McIntoshes continue to farm the land to the present day. The first generation with Charles saw the property develop from crop based agriculture to a greater reliance on livestock, in particular dairy cattle and breeding draught horses. It was a leading dairy farm for much of the 20th century, and also witnessed the mechanization of agriculture in Australia. 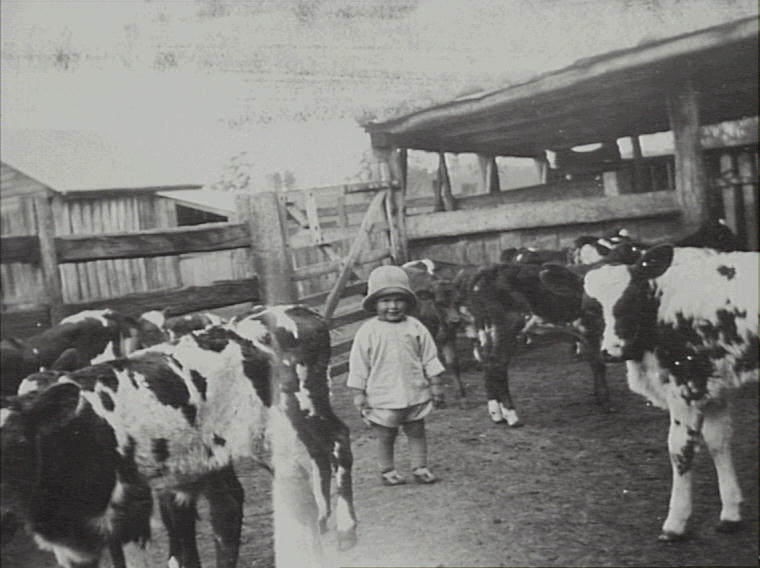 Jim McIntosh at 2-3 years of age in a yard with cows at Denbigh, 1925. Copyright: Camden Historical Society. Camden: the gateway to Utopia? Many Camden residents and visitors will testify to the beauty of the area. Its lush pasture land, the beautiful summer sun, the changing autumn leaves. But even the most enthusiastic will not venture to say it is the gateway to Utopia. But so thought a handful in the early Sydney colony. In 1798 an expedition was undertaken by a ragtag group from Sydney deep into the surrounding ranges. The expedition had a unique objective. Many convicts in the penal colony, desperate for freedom, created two myths about what lay beyond the bounds of the Sydney colony. The first and more plausible was that they could find a passage through to China. Although technically possible, the passage is not exclusively on land as they believed, and the supposed length of the journey, 150 miles, was optimistic at best (it is closer to 5000 miles). The second and more fanciful was the belief that beyond the bounds of the colony lived a free white indigenous settlement, where they would be emancipated and where life was easy. It was imagined as the land of Cockaigne, a place of luxury and plenty. The expedition of 1798 was commissioned by Governor John Hunter as an “expedition of anti-discovery” (Levell, 2008, p.62), specifically to disprove and dispel the myths from persisting. He was not attempting to discover other new parts of Australia, although he kept up that pretense with his superiors, particularly in retrospect (Levell, 2008, p.71). As striking as the tales are, the real world source is just as fascinating. Those who spread these tales were convicts within the Sydney colony, sick of the hard labour they endured and willing to make the journey into either of these safe havens. Many convicts had died after escaping or, if lucky, managed to find their way back. Dead convicts meant a reduced labour force, but more troubling for Governor Hunter, and Governor Philip before him, was the unrest stirred by the rumours. 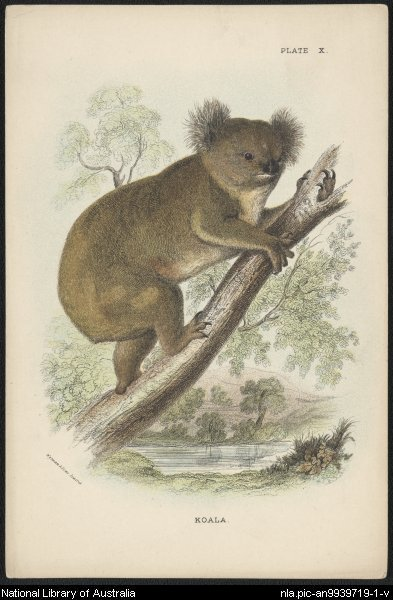 Koala, London : Wyman & Sons, 188-?. National Library of Australia, an-9939719-1-v.
Appropriately enough, the man selected to lead the expedition was himself an early settlement convict. John Wilson was convicted of stealing nine yards of velveret in England in 1785 and sentenced to seven years in Australia. He arrived aboard the ship Alexander with the First Fleet. 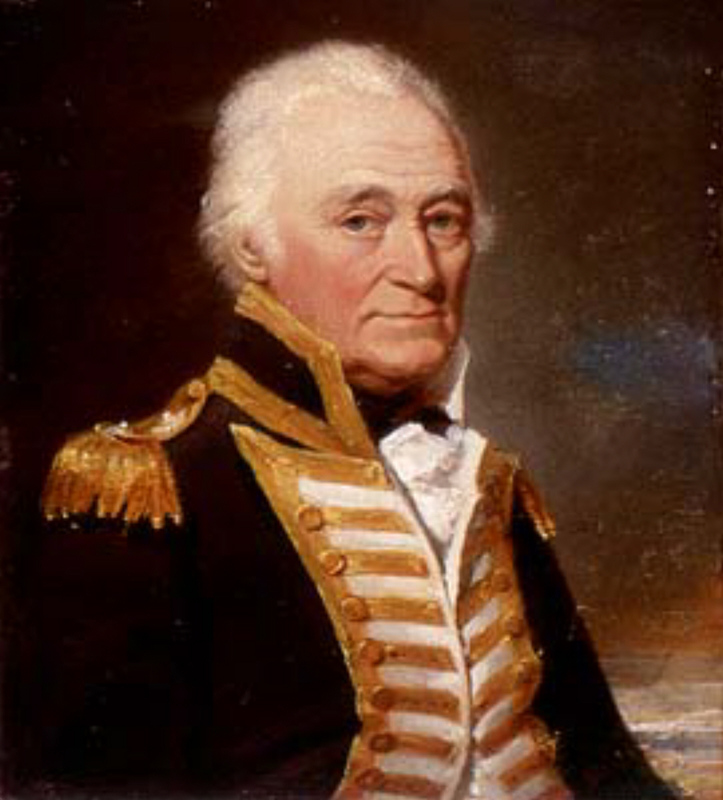 After serving his term he became a “vagabond”, preferring to live “among the natives in the vicinity of the [Hawkesbury] River, to earning the wages of honest industry for settlers”, according to David Collins, deputy judge advocate and lieutenant-governor of the early colony. He did however develop a great knowledge of the Australian bush, and despite his “unsavoury” lifestyle choices, was often called on to partake in expeditions, that is, when they could locate him. Within a short time most had already turned back, deciding that it was preferable to stay in the relative comfort of the colony than endure the often hostile Australian landscape. The three who continued, only one of which was a convict, faced incredible hardships including starvation numerous times. The only one who remained “well and hearty” was Wilson, with the rest collapsing as soon as they arrived home. Lyre Birds by Neville Cayley, 1854-1903. National Library of Australia, an14534402-v. Although farcical in conception, the expedition did provide some unique finds. The one that generated the most excitement at the time was the discovery of a supposed salt deposit that would have removed the need of costly imports into the colony. However, on a second expedition by Wilson, it was determined that the quality of the salt was unsuitable (Levell, 2008, p.70). There was also the first sighting by white people of a koala near Bargo, and the first sighting of a Lyrebird, which was described as a pheasant and resulted in the naming of the area Pheasants Nest. There was also the first recording of a Wombat, with Wilson pointing out the dung to one of his travel companions, although the creature was not actually seen on this expedition. Although providing for some discoveries on this unique expedition, the main objective of dispelling the escape myths was short lived, with many convicts still attempting to flee the colony. Versions and variations of this paradise myth continued well into the 1820s and 30s, with even the likes of Charles Sturt believing that there was an inland sea in the heart of the Australian continent. 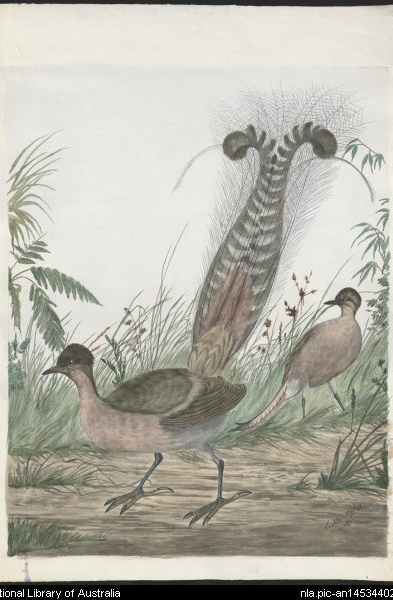 Cambage, R.H. ‘Exploration Beyond the Upper Nepean in 1798’. Journal and Proceedings (Royal Australian Historical Society), vol 6, part 1, 1920, pp 1-36. Levell, D. (2008). Tour to Hell: Convict Australia’s Great Escape Myths. St Lucia, Qld: University of Queensland Press. Australian Dictionary of Biography Online. Traffic jams and accidents are the plague of the modern commuter. But travel was not necessarily safer in bygone times. Existing as a rural town for much of its existence, Camden has been plagued by many hazardous routes and methods of travel. 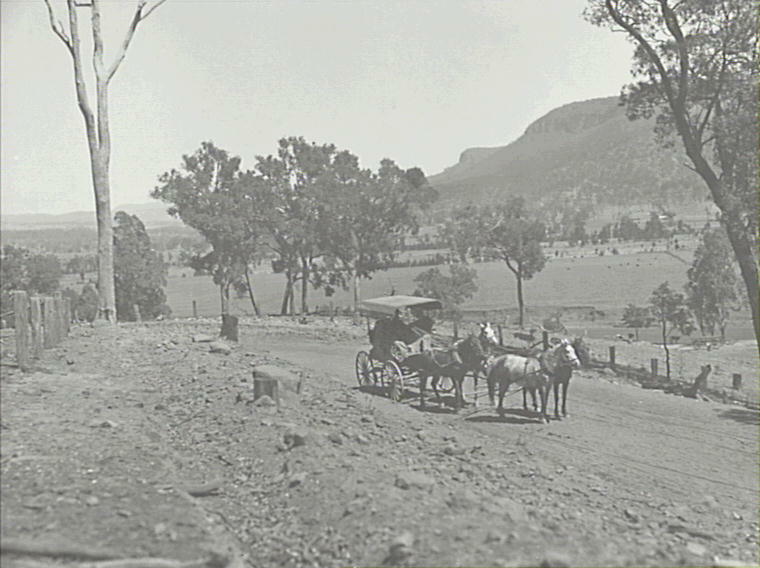 A Butler four-horse coach on a road in Burragorang Valley. Copyright: Camden Historical Society. The Great South Road over Razorback was one of the most treacherous. Although formally completed in 1835, those who used the road would argue that it was never finished (Villy, 2011). 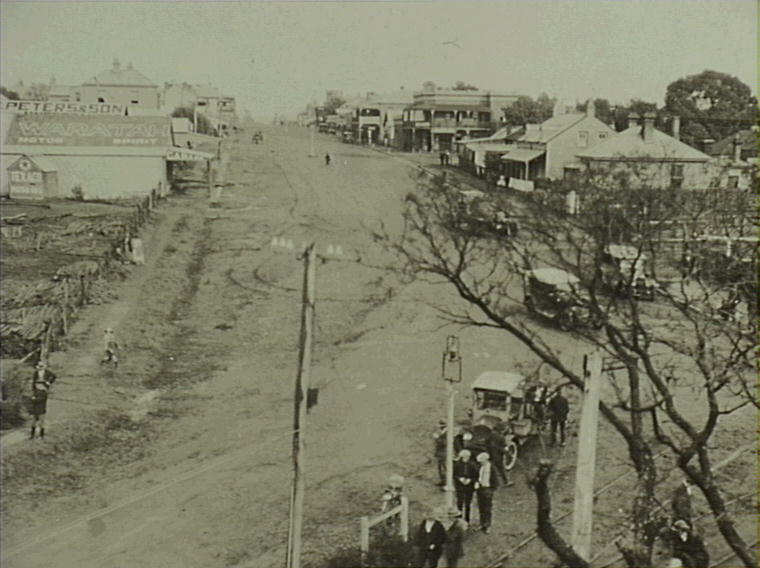 Many people, from William Macarthur to John Macquarie Antill, complained about the roads constant disrepair, and undertook many efforts to get it fixed. The difficulties were so great and the fatalities so numerous that the gruesome history of the road is recorded in Elizabeth Villy’s The Old Razorback Road. Of the fatalities, Villy reports of one woman who was killed after her carriage overturned after hitting a rut in the road surface. Her 12 year old son and the baby she was holding survived, but there was no doubt that the accident was caused by the bad state of the road. Stranded passengers near Elderslie. Copyright: Camden Historical Society. Travelling by rail is often a much safer option, but clear passage is not guaranteed. 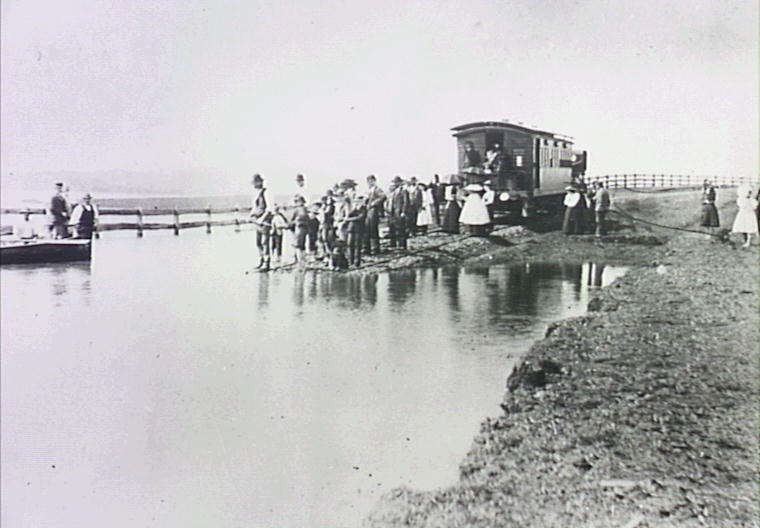 With flooding common in Camden, the Pansy Tram line, the train that went from Campbelltown to Camden, quite frequently became flooded. 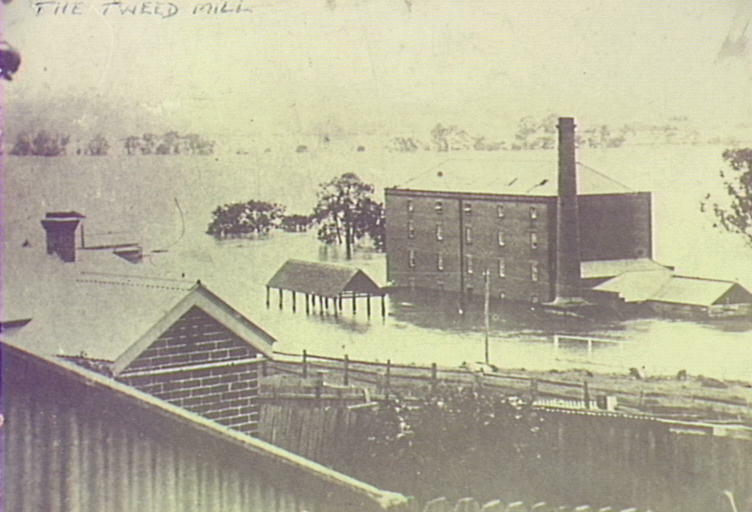 The floods sometimes left passengers stranded near the playing fields at Elderslie where they had to be rescued by boat. Cowpasture Bridge damaged in 1975 flood. Copyright: Camden Historical Society. Another transport structure that was subject to flooding was Cowpasture Bridge. Built in 1826, it replaced numerous fords that were used to cross the Nepean River between Camden and Liverpool. 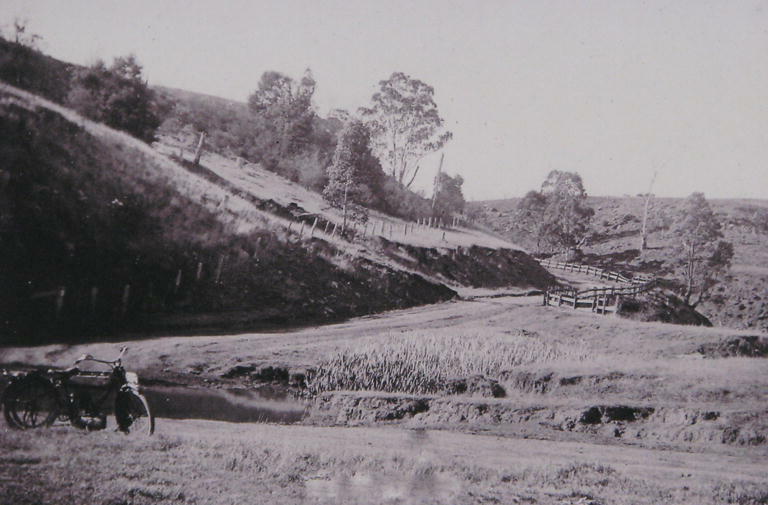 As with the Great South Road, the road leading to the bridge was constantly mentioned as being in disrepair. But the flooding made it impossible to cross, with the actual bridge covered in water (at one time it was sixteen feet underwater). The surrounding area would be inundated, delaying mail and other vital supplies (Starr, 2007). Repairs were undertaken in 1852, with a new bridge constructed in 1861 after one section was washed away. 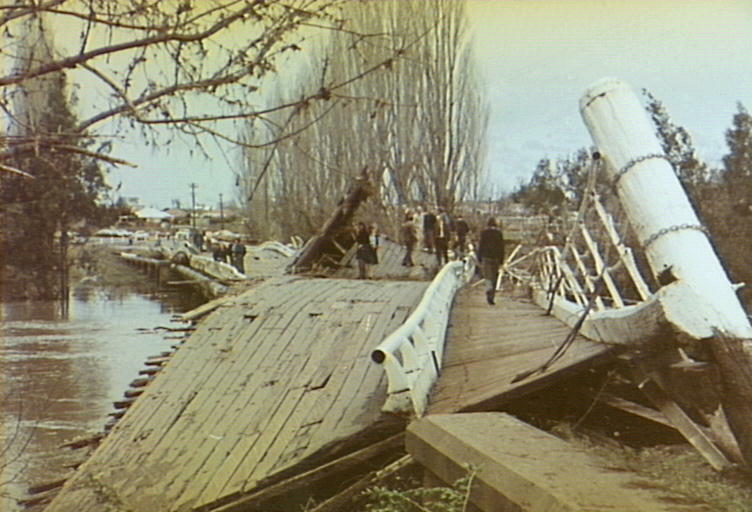 In 1975 there was a severe flood, which extensively damaged the bridge, requiring another rebuild. From Edward street corner looking uphill. Unpaved, 1920s cars, telephone pole, gaslight street lamp, railway line in bottom right corner. Perhaps taken from upper floor of Milk Depot. Copyright: Camden Historical Society. Even Argyle Street in the centre of town has been subjected to many traffic issues. For a long time the main road between Sydney and Melbourne, numerous accidents occurred along the stretch of road, particularly around the sharp right turn at Murray Street. Wrigley tells of many who became victims of the corner, including a lady who’s accelerator became jammed, sending her straight into a building entrance (2001). This was only one of many accidents, and safety on Argyle Street remains a concern for many in the area. It may not help alleviate the traffic fury of today or stop the traffic jams during peak hour, but knowing the travel hazards of the past may help put it all into perspective and remind us that difficulty journeys are as old as travel itself. Starr, M. (12.01.2007). A Governor and flash floods on Cowpasture Bridge. Back Then. The District Reporter. Villy, E. (2011). The Old Razorback Road: Life on the Great South Road between Camden and Picton 1830-1930. 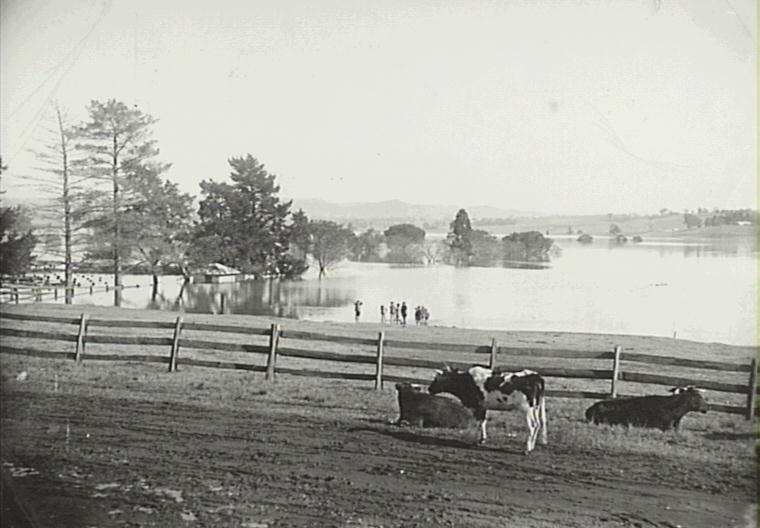 (Kenthurst, N.S.W. : Rosenberg Publishing). Wrigley, J. (9/11/2001). A step down Argyle Street of old. Back Then. The District Reporter. Llewella Davies gave a great deal to the community during her near century of life in the area. From charitable works with organisations such as the Red Cross or Meals on Wheels, to sharing and creating yarns of the old town, Miss Camden, as she was affectionately known, contributed much to the community. But her most lasting contribution, and the one with which most current residents have a connection, is her bequeathing of her family’s 55 hectare dairy farm to Camden Council. Miss Davies’ dairy farm, winter 1994. Exeter Street to left, Macquarie Grove Road in foreground. Looking west. Copyright: Camden Historical Society. The Davies property was divided into two sections. The more intimate is the brick federation style house that was the Davies family home. The Davies called it Nant Gwylan, Welsh for seagull brook (nant=brook or stream and gwylan=seagull). Built in the 1910’s it would remain the Davies family home until Llewella’s passing in 2000. ‘Nant Gwylan’ the home of the Davies family built in the early 1910. Photograph from 1920s. Copyright: Camden Historical Society. Its gardens were extensive, and according to the Council Property Report (2002), the garden was of “greater significance than the house”, although it did mention that both were in their original form. 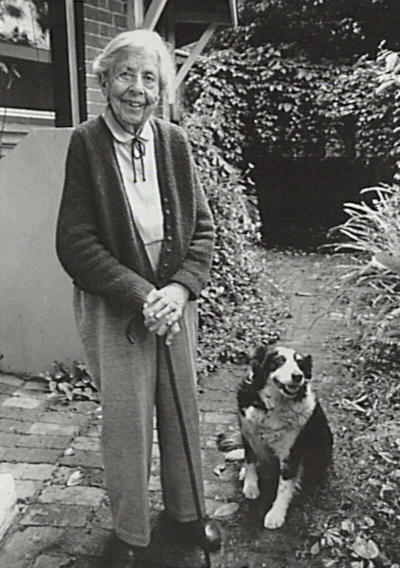 Llewella Davies spent a great deal of time in the garden well into her senior years, always accompanied by her dog Tess. 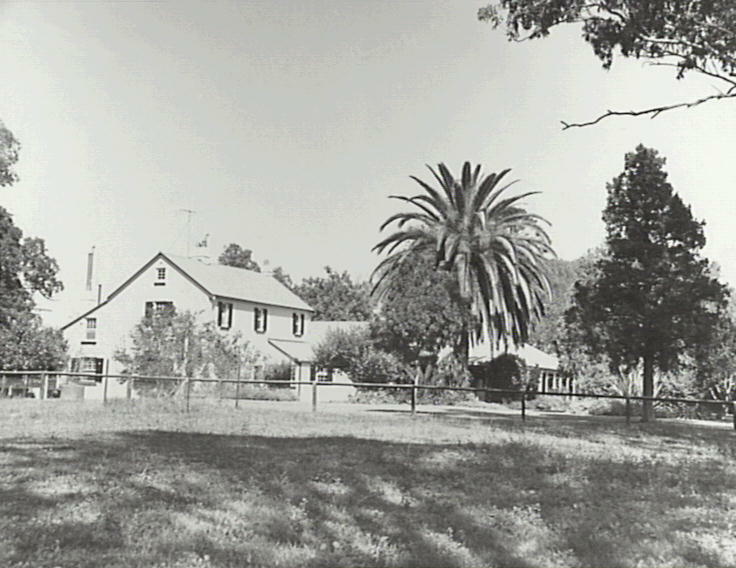 The house’s intimacy was retained, remaining in private hands while the rest of her estate, the Davies dairy farm, was bequeathed to Camden Council. Llewella Davies In her garden, with her faithful dog Tess, at Nant Gwylan. Copyright: Camden Historical Society. 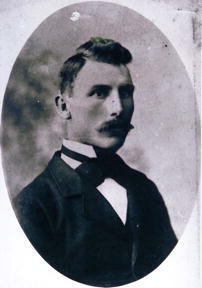 Evan Davies, Llewella’s father, started the dairy farm on the 55 hectare property on Exeter Street opposite the house. It is located just on the outskirts of the town leading to the Nepean River, entirely within the famous Camden Flood Plains. 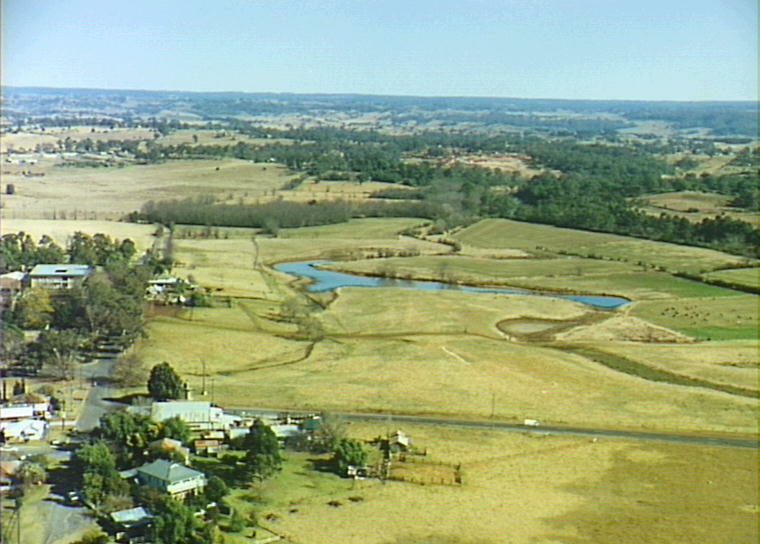 According to the Council Property Report (2007), the land is representative of both Camden’s dairy heritage, and also of Camden’s heritage character as a town immediately surrounded by agricultural land. Some of the structures that existed on the farm were in poor condition when bequeathed, but have since gained a kind of rejuvenation. Some of the old buildings of the Davies dairy farm, now forming part of Camden Town Farm. Copyright: Camden Council. As Camden Town Farm the property has gained new life within the community. 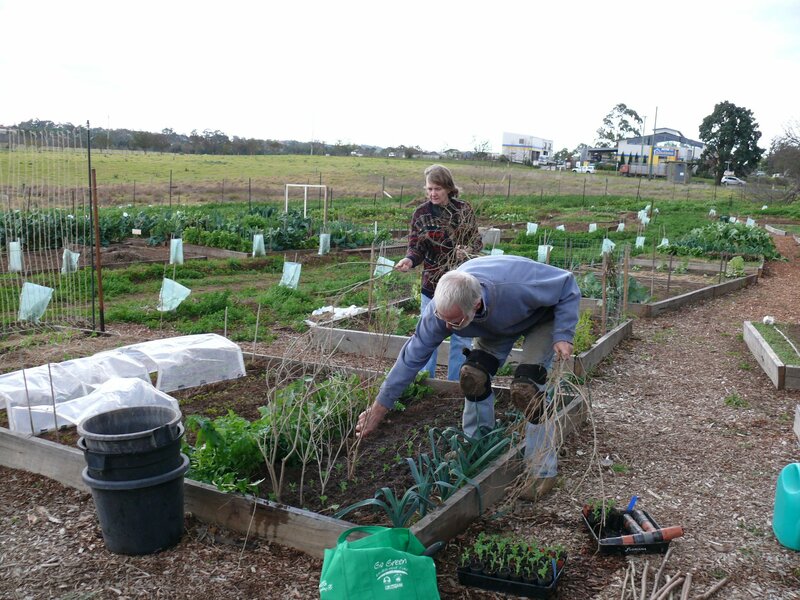 Centred around gardening, the Town Farm facilitates the activities of Camden Community Garden, a hub for community learning through social inclusion and interaction. 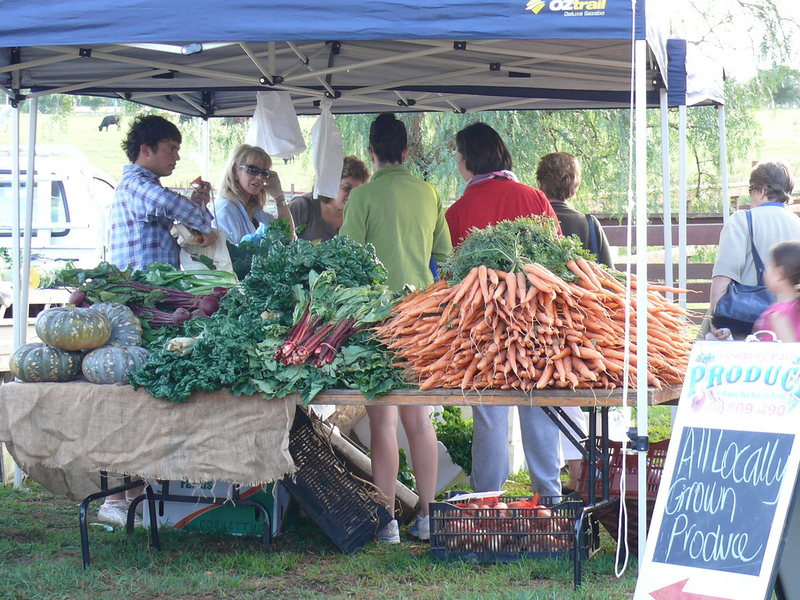 It comes alive every Saturday with the Fresh produce markets, showcasing the top quality produce from the Town Farm and local producers. Community groups and individuals growing their own produce in allotments at the community farm. Copyright: Camden Council Library Service. Of the many buildings and farms in Camden, Nant Gwylan and the Davies dairy farm are perhaps the most representative. They may not feature the grand architecture of Macaria or Camelot, or boast the agricultural innovation of Camden Park Estate, but as a symbol of the town, of what it was and what it is becoming, through its transformation from working dairy farm to community hub, it represents the best of Camden past and present. Dreaming of a white Christmas? This is Christmas in Camden! With a hot sun, pools, and amazing summer produce. Christmas had a gradual start in the Australian colony. The first Christmas in 1788 was celebrated by Governor Arthur Phillip and his officers with a hearty meal, but for the convict population it was rations as usual (Back Then, 2013). This is not to say the occasion wasn’t noted, although commemorations could hardly be called festive. Michael Dennison, a convict who had stolen a pound of flour, was sentenced to 200 lashes. But in the spirit of the season Michael was given a reprieve, receiving only 150 lashes. The seasonal celebrations took on greater significance in the 19th century. Two factors explain the development. The first was internal, the increase in immigration and the development of industry leading to greater levels of prosperity, allowing more people to indulge in the pleasures of the season (Back Then, 2013). The other was the development of more flamboyant Christmas celebrations of the Victorians. A decorated flag pole for the central Christmas tree in Camden, 1996. Copyright: Camden Historical Society. Although making the most of the climate and enjoying picnics instead of surrounding a raging fire indoors, the early feasts had traditional European elements. This was particularly noticeable with food, with steaming hot plum pudding remaining a staple for a long time, despite its unsuitability with the hot Australian December climate. More native and patriotic elements came into Christmas, most notably through decorations, it reaching its peak with an acclimatized Father Christmas. The Christmas tree, popularized in England by Prince Albert and spread throughout the colonies, was reproduced here, although the European fir tree was substituted by an array of native vegetation including Norfolk Island pines, she-oaks, gums, and wattles (Back Then, 2000). In Camden it has become a regular feature for the flag pole on the main street to be decorated in lights in the shape of a tree. 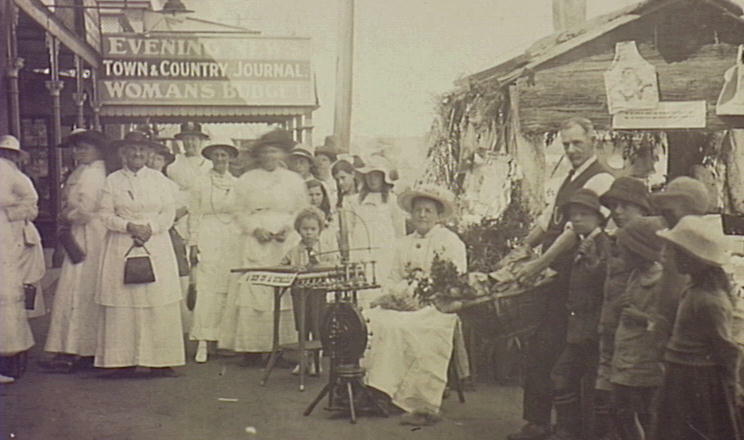 But the development of a more ‘Australian’ Christmas did have a set back towards the end of the 19th century. Stapleton and McDonald report how the tide turned, with notable European emblems such as holly replacing native vegetation which had started gaining popularity, with commercialisation adding to the homogenised character of Christmas in the late 19th and early 20th century. A popular activity in Camden, sourcing local fruit and veg for the Christmas spread. Copyright: Camden Council Library Service. But over the course of the 20th century, Australia again developed its own traditions and flavours. Common feast choices include prawns, ham, cheese, small goods, and pavlova instead of roast meats and plum puddings. In Camden it is very popular to get local fruit and veg from the farmer’s market to provide a rich Christmas feast for family and friends. As well as incorporating cheeses and small goods from the larder, it also stocks heirloom varieties of many vegetables, further creating a unique Christmas experience in Camden. Christmas celebrations will no doubt continue to change as Camden continues to grow and develop, with new aspects integrating with traditional practices, continuing the festivities and ensuring the food will always be delicious. n.a. (15.12.200) Christmas decorations in the colonies. Back then. The District Reporter. n.a. (20.12.2013) New land saw break from traditional Christmas. Back then. The District Reporter. Nothing beats wading into a cool swimming pool on a hot summer day. The overflowing joy, the refreshing submersion, the heat gently rippling away. Now imagine waiting 18 years for that. 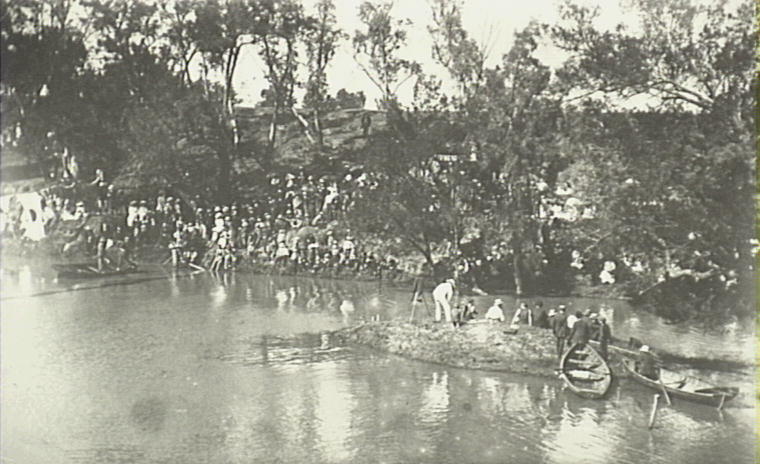 Swimming Carnival in Nepean River, 1910. The idea of a pool in Camden was introduced by Albert Baker in 1946. A barber originally from Bondi, Baker understood the refreshing qualities of cool water in a hot Australian summer, and was particularly enthusiastic about safe swimming. After moving to the area he became a member of Council and proposed the pool at a meeting in November. 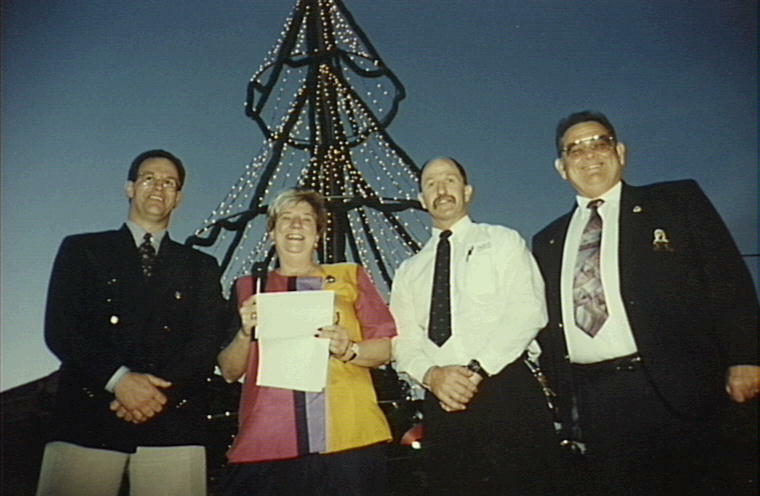 He was a lone voice, with others at the meeting declaring that generations had swam in the Nepean River and saw no reason for that to change (Shaw, 1998). 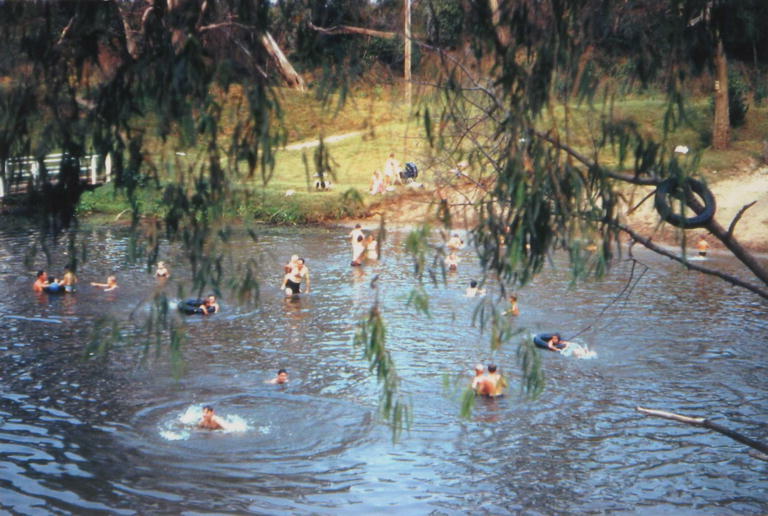 People swimming in Nepean River at Little Sandy, 1950. Although discouraged by the disinterest, Baker did what he could to encourage safe swimming in the area. He devoted considerable time to The Camden District Amateur Swimming Club (CDASC). The most notable activity was a ‘learn-to-swim’ sessions organised by Baker with the NSW Amateur Swimming Association (NSW ASA) in the mid 1950s. The letters between Baker and the NSW ASA are stored in the local studies collection. Originally planned to occur over two weekends, the classes were extended due the the overwhelming interest from the community (“Learn to swim” classes extended, 1956). Camden War Memorial Pool , 1995. More support for the pool came in 1949. A.G. Gibson, chairman of the CDASC in 1946 and editor of The Camden Advertiser, initiated fundraising for the pool, raising over £800. The estimate cost for the pool in 1949 was £13,850 (The Camden Advertiser, 1949). 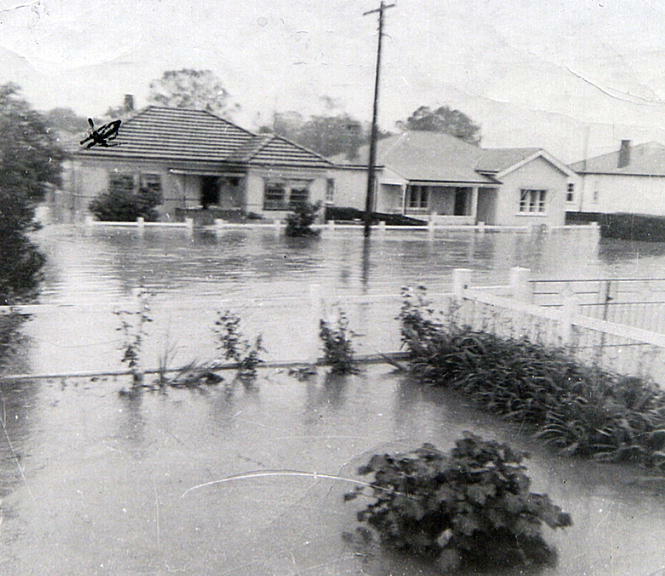 An additional boost came in 1955 when there was talk of Campbelltown Council establishing a pool. Camden Mayor, Alderman Cruikshank, led a public meeting with the intention of dealing with the proposal of Camden pool. An industry representative gave figures for the cost, ranging from £4,700 to £12,400. Unlike nine years earlier, this time the proposal was met with unanimous support. The seed Baker sowed had germinated. It would be another nine years before the pool was completed. 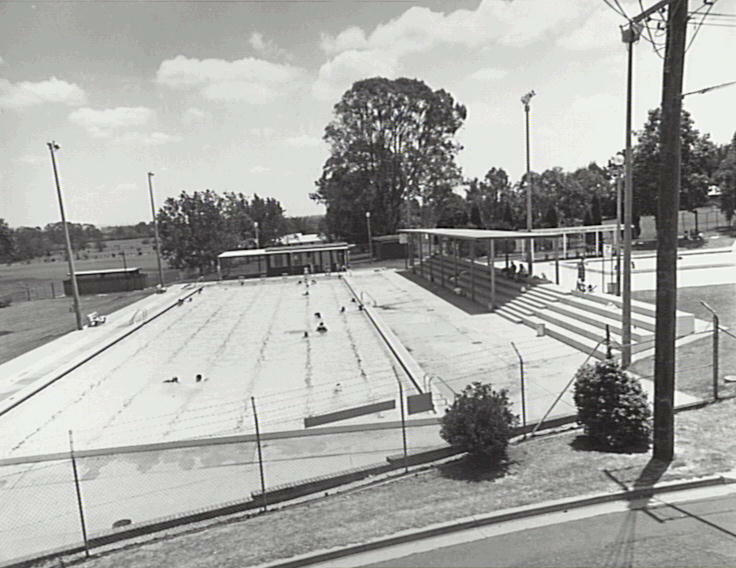 On a Saturday afternoon in 1964, in front of a large crowd of eager citizens, Camden and District War Memorial Olympic Swimming Pool in Onslow Park was officially opened. The funds raised for the pool came to £16,500. Now known as Camden War Memorial Pool, it has enjoyed great success and has undergone several developments, including a pergola installed in the 1990 to provide children with a shady spot in between dips (Shade for toddlers, 1990) and a full refurbishment between 2010 & 2011(Clough, 2011), including calls for it to be heated during the winter (Ward, 2010). Whatever changes and programs are run in the future, it is sure residents will enjoy the refreshing, invigorating hydration the pool provides for years to come. Clough, D. (11.10.11). Swimmers warm to revamped pool. Macarthur Chronicle. n.a. (1.12.1949). Swimming pool for £13,850. The Camden Advertiser. n.a. (20.12.1956). “Learn to swim” classes extended. Camden News. n.a. (28.11.1990). Shade for toddlers. Camden Advertiser. Shaw, R (9.12.1998). How tenacity built town’s public pool. Wollondilly Advertiser. Ward, M. (2.2.2010). Swimmers turn up heat. Macarthur Chronicle. 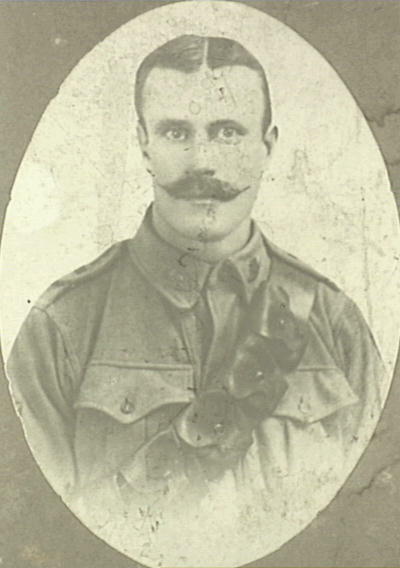 A man in uniform with a neat full ‘stache. Particularly appealing to residents are the dapper qualities of this candidate, from the neat mo to classic black suit and white shirt combo. And finally the winner, the man who now will forever be remembered, at least in the blogosphere, as the Crumb Catcher King of Camden is Sergeant Frank H. Paul. Another man in uniform and one of the many Camden citizens who would not return from the Great War, Paul features a fine, full, fabulous mo’. That paired with his sacrifice makes him the perfect and obvious choice. Congratulations to all our candidates. They have all contributed to the vibrancy that is Camden’s story, and we will continue to bring the stories of them and other Camden citizens in the future.